The Sorrento veneer desking system is a transitional line of wood office furniture for private offices, individual workspaces, conference rooms and reception areas. This line combines a high end look and technology-friendly features. 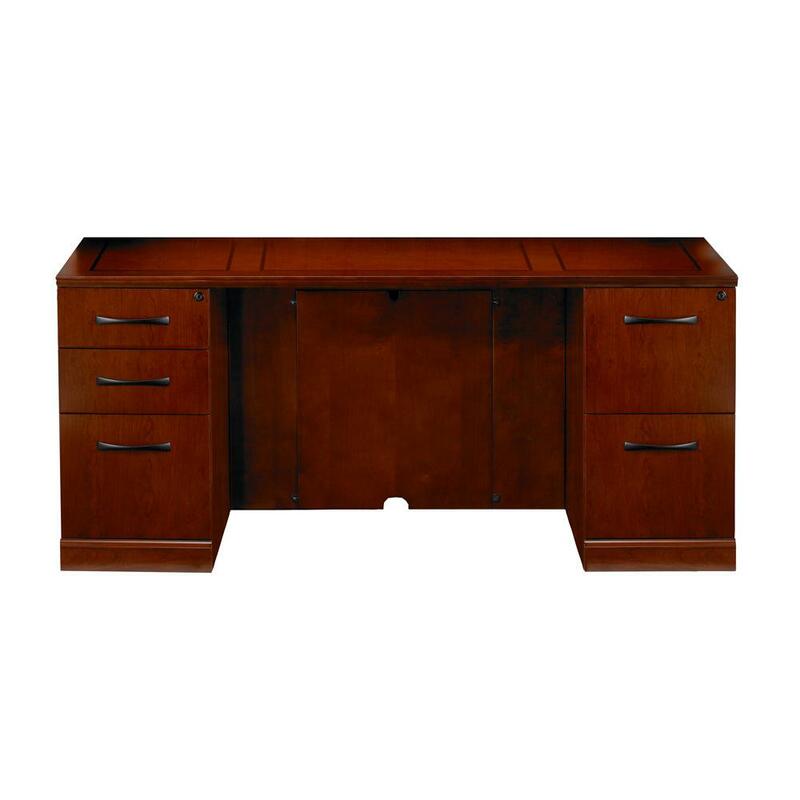 I would like to receive pricing for the following item: Mayline Sorrento Double Pedestal Credenza Desk.